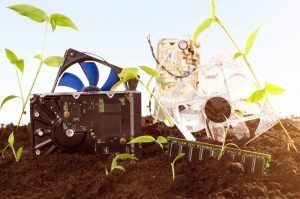 E-Waste is the Fastest Growing Waste Stream | HOBI International, Inc.
Electronic waste is one of the most concerning growing threats to the environment. Thanks to the low cost of production, it’ easier than ever for corporations to pump out millions of laptops, smartphones, IoT devices and other consumer gadgets. Electronic companies believe repair and reuse hurts their bottom line, therefore they push for consumers to continuously purchase new products near after years. That’s led to a world where people throw away broken devices instead of finding ways to repair them. And these massive amounts of discarded iPhones, televisions, and laptops are poisoning the planet. A new initiative combining the efforts of the United Nations (UN) and the World Economic Forum (WEF) and the World Business Council for Sustainable Development to change that. The group formed the Platform for Accelerating the Circular Economy (PACE), and announcing itself as Davos — a yearly gathering of the world’s wealthiest elites — where it released its first report. “E-waste is now the fastest growing waste stream in the world,” Pace’s report said. “It is estimated this waste stream reached 48.5 million tonnes in 2018.” And most of this waste comes from Europe and the U.S. and ends up in places like Nigeria and Hong Kong, which is suffering the human and economic costs of disposing of the material. PACE wants to combat this growing problem by communicating about health dangers and economic cost of e-waste, building partnerships with corporations and governments, then enacting coordinated plans to tackle the problem. The group believes it can get corporations to act out of their own self-interest. The world produces as much as 50 million metric tons of electronic and electrical waste annually — which weights more than all of the commercial airliners ever made, according to UN Environment. This waste is actually worth over $62.5 billion. Given this, it’s time to reconsider e-waste, re-evaluate the electronics industry and reboot the system for the benefits of industry, consumer, worker, health of humankind and the environment.